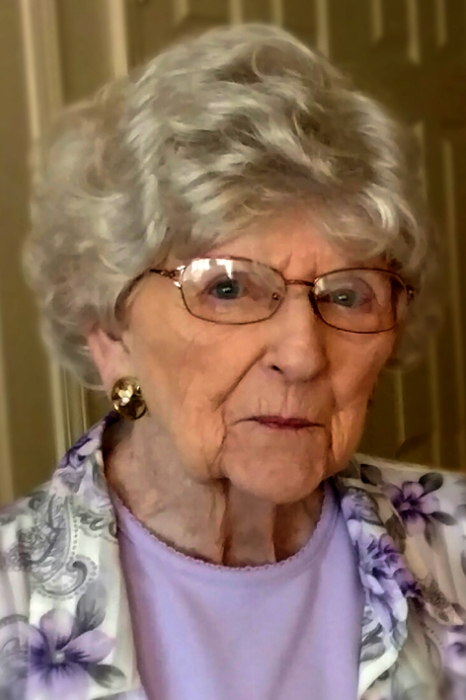 Sandra Ellen Brauer (Coffman), 86, of Concordia Village in Springfield, Illinois, passed away in her sleep on Sunday November 11, 2018. She and her late husband Wayne P. Brauer, who passed on January 1, 2011, were long time residents of Litchfield, Illinois. Sandy was born on July 26, 1932, the oldest daughter of Lloyd E. and Margaret P. (West) Coffman of Roodhouse, IL. She was preceded in death by her sister Margaret (Peg) Ferguson, on May 17, 2012. Sandy was a graduate of Washington University School of Nursing in St. Louis, MO in 1954. Sandy and Wayne were married on June 28, 1953 and lived for a short time in Roodhouse before moving to Litchfield in January of 1959. There they raised four sons and owned and operated Coffman Drug Store on State Street, a landmark of the downtown business district. Sandy and Wayne were both long time members of Zion Lutheran Church in Litchfield, sharing their time and talents with the congregation. An active volunteer serving the church and community, she also worked as a part time nurse for several years at St. Francis Hospital in Litchfield in the early 60s. The couple was active in Rotary International and each was recognized as a Paul Harris Fellow. Sandy opened her home to various Rotarian travelers from across the globe. In their retirement years Sandy and Wayne found time to travel and were able to create wonderful memories together on the road. Sandy touched everyone she knew with her caring, giving, and generous soul. She is survived by her four sons, Lon (Djuana Tucker), Geoff (Jean), Al (Darlene), and Grant (Kim Pulliam); grandchildren: Erin (Tim) Pratt, Adam Brauer, Matt Brauer, Shari (Tyler) Oesterreich, Colene Brauer, Shannon Brauer, Steve (Becky) Brauer, Olivia (Mike Jones) Brauer, and Emily (Jim) Chambers, Karlie Pulliam, Megan (Andy) Nollman; and great-grandchildren: Maxlyn and Cora Chambers, Lydia and Madelyn Jones, Tyler Nollman, and Vivian Pulliam. On Friday, November 16, 2018, following a private gathering at Camp Butler National Cemetery, there will be an open house at Concordia Village Chapel at 11 am with a memorial service to commence at noon. There will be a simple lunch of cold sandwiches immediately following the service. Donations may be made to: Concordia Village Scholarship Fund.